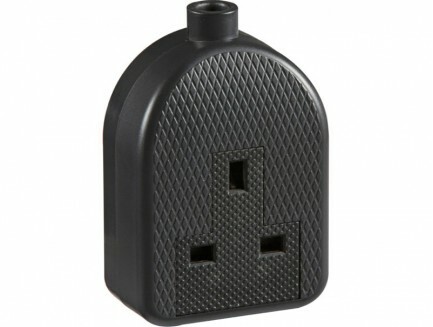 13 amp trailing extension socket, impact resistant heavy duty Thermoplastic (TPR) rubber top with nylon base finished in black. Connect to a suitable supply via a BS1363 13 amp fused plug fitted with 1.25 or 1.5mm2 3 core cable. A safe and easy method of extending power cables, electrical tools and appliances. Impact resistant construction - ideal for use with power tools, lawnmowers and other appliances where the socket might need to withstand being knocked around.